The HMS Darkness was inspired by nothing... unfortunately.Still, this is one of my most realistic ships so far, I learnt allot from looking at ship-models and pictures on google. So for those of you that wants to get better at shipbuilding... there you have it; practice. 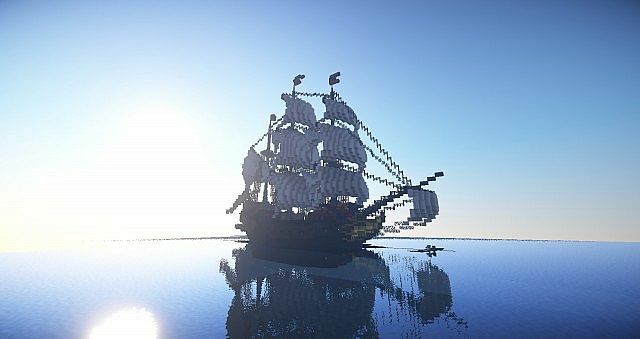 I named this ship the HMS Darkness, because it looked sort of dark and evil when I was using shaders at night. 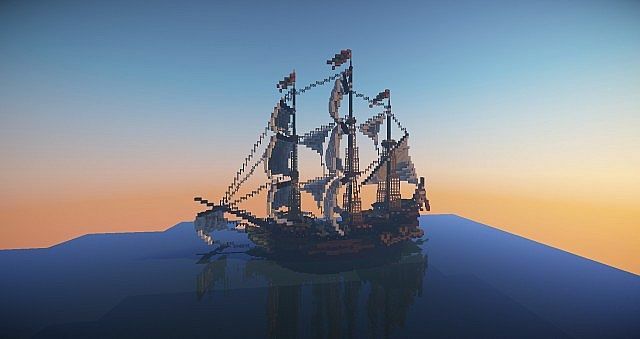 I built this ship by my self on a private build server that I host, it is not open to public, and never will be. 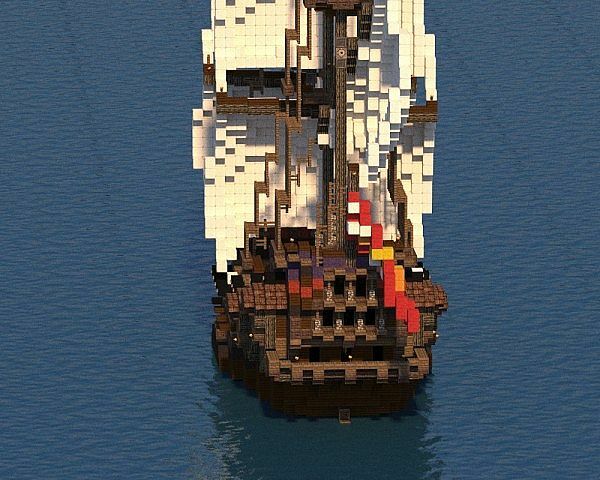 Please leave a diamond to show your support, or even better; tell yer maties =D Yarr! use the ship for a pay-to-play server, or a server that forces people to pay to gain access to content that involves this ship. Do not use the ship for any other comercial stuff. I release this under the CC3.0 noderivs licence. 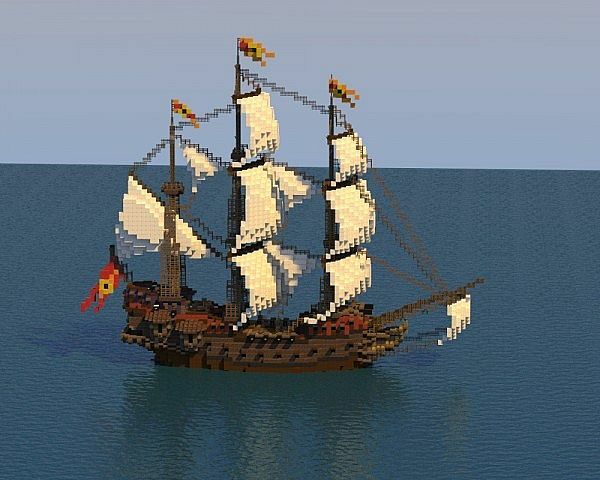 Download the ship to learn, or play a cool roleplaying game or whatever with yer maties. 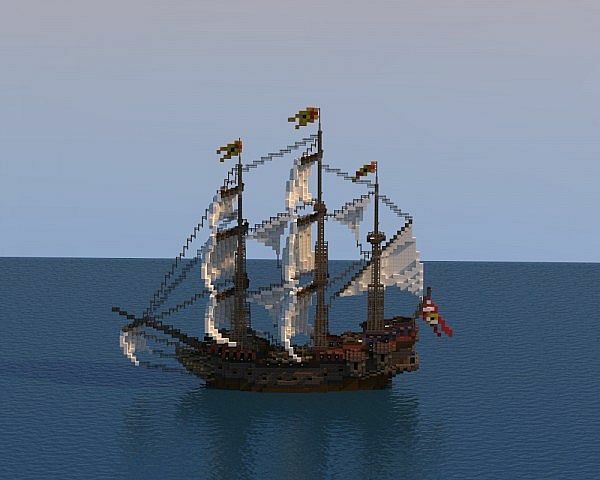 Make youtube videos of the ship ( :D ) if you give me proper credit (and please do ask first). you can also find me at the Sword In The Block server :D cya. Whooooo! Congratulations! 50 diamonds and this post made it to the front page of PMC! :D Hell yeahh! woo :D thx bro <3 I appreciate it! 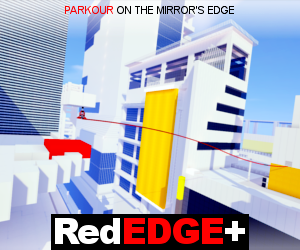 What program do you use for those render btw? lol, thats basically what I do :), only have 8gb available though :'( thx. 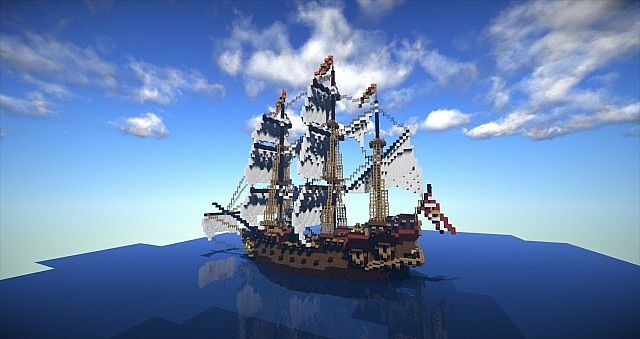 Looks very nice from the pictures,, was just about to upload my own galleon lol. Will comment further later. some sort of .zip download please? Very nice! Would I be able to use this for a redstone creation I'm making? I have a made a creation that can move any object, with animation, forward forever. All I need is a ship. I would give proper credit including a link back to you profile and ship. Yes you may :) It would be really cool :D GL man! It was too big... Most anything is too big. Awesome ships man. Great work! I am giving diamonds to all and am a new subscriber! Keep it up!